Now that summer is here, my thoughts drift to calm days, warm sandy beaches, pink sunsets, the scent of Coppertone, soft breezes, and piña coladas. No, wait. Scratch that. Who am I kidding? I love Kyle Chandler. Actually, to me, he’s Coach Taylor from Friday Night Lights, the TV series, now in its final season. The coach is perfection personified, even better than Robert Young in Father Knows Best. FNL could be called Coach Knows Best because he always does. Others on the show think they know better and push the coach to use their son more on the field, or talk to colleges about football scholarships when the coach says it’s not time. And, guess what? The coach is always right. Not only is he damn good looking, he’s an amazing husband to Connie Britton’s Tami Taylor, and a great father to Julie, his sometimes bratty daughter (played by Aimee Teegarden). And as a football coach, he’s strong and stalwart, with a stiff jaw and lots of poetic angst in his eyes. 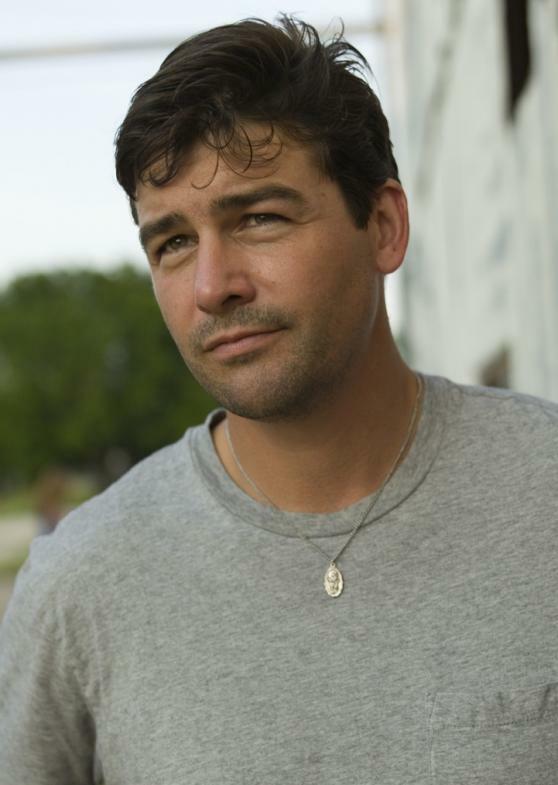 Oh, I just adore Coach Taylor. Finally, a movie that takes the best of many of my favorite movies—E.T., Close Encounters of the Third Kind, and Stand By Me—sprinkles in a little bit of the enigmatic TV series, Lost—and throws in a football coach to boot. So what, if we’ve seen it all before? Super 8 has it all! Action, drama, touch of humor and Kyle Chandler who is a cutie, if you ask me. He somehow manages to look and act exactly like the coach he plays on Friday Night Lights, but dressed this time as a cop. Except, gone are the sweats. He even gets to wear a beret at one point, which makes him look très French. Voila! Fun movie, so go see it and tell Kyle I said, hi. I do not want to appear rude or ungrateful to those who must deal with this, but I have to say it anyway: I do not wish to be buried alive like that woman in Columbia. Must have been an oversight at the hospital, if you ask me. Which is why I’m going to always carry a mirror in my pocket so that, in a pinch, anyone can hold it up to my mouth to check to see if it fogs up by my breathing. Also, if it’s not too much trouble, can someone please tell my kids that I’m going to need a landline installed in my coffin? It’ll come in handy in case I awaken. Speaking of landlines, I think my phone company has it in for me. I can tell because ever since I decided to cancel my landline—and then quickly reversed said decision—the phone company has decided to make my life hell. It’s like they want to teach me a lesson, show me who is boss. The only problem is, the real lesson they’re teaching me is, I should have followed my first hunch and canceled the service!! She Writes members celebrate its 2nd anniversary in grand style! I’m thrilled to be part of She Writes. 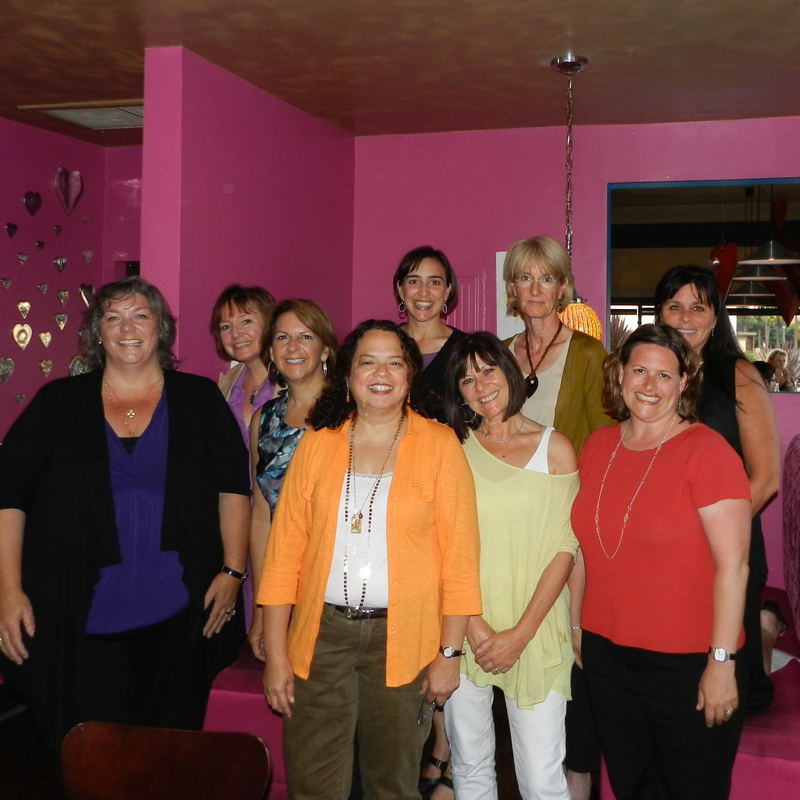 This week was She Writes’ 2nd anniversary and here in San Diego, several of us She Writes members celebrated in grand fashion. Find out more by clicking here. We’re planning to do it again soon. If you ask me, it can’t be soon enough. Why is it, I have two grocery stores nearby that are part of big chains, yet neither of them carries all my favorite food items? So if I want a certain brand of hummus in a zesty lemon flavor, I have to go to one, but, if I also want a particular brand of lemon yogurt (Yes, I’m obsessed with all things lemon! ), then I have to drive to the other side of town and go to the other store. Why can’t they both carry the same items? It’s so annoying. Clearly, they don’t realize that time is money. My Cavalier King Charles Spaniel, Henry, doesn’t handle well being sick. He plays Anna Karenina and acts like he has consumption or something. Flinging himself on the couch, he covers his eyes with his paw. “The end is near!” he seems to be saying. I call his name as I pour his dry food into his bowl. He gets this far away look in his eyes and I could swear I see his lower lip quiver. “My will is gone,” he seems to be saying. Henry knows, this really gets to me, but not when I’m in a hurry. “Goodbye, Hank,” I shout as I head out the door. “Catch you on the rebound,” I add, knowing that he doesn’t like it when I appear cavalier about his health. Oh yes, summer’s off to a great start, thanks to my thoughts which just won’t go away. Oh and I almost forgot–TODAY IS MY 100th POST! Yay! What a milestone!